The iPhone could transform into a secure version of a key fob that not only unlocks your vehicle, but it could also summon a parked vehicle to come to you. Apple drops a breadcrumb on the path to an autonomous vehicle future, offering a possible glimpse into its Project Titan with a patent application for a keyless entry system. 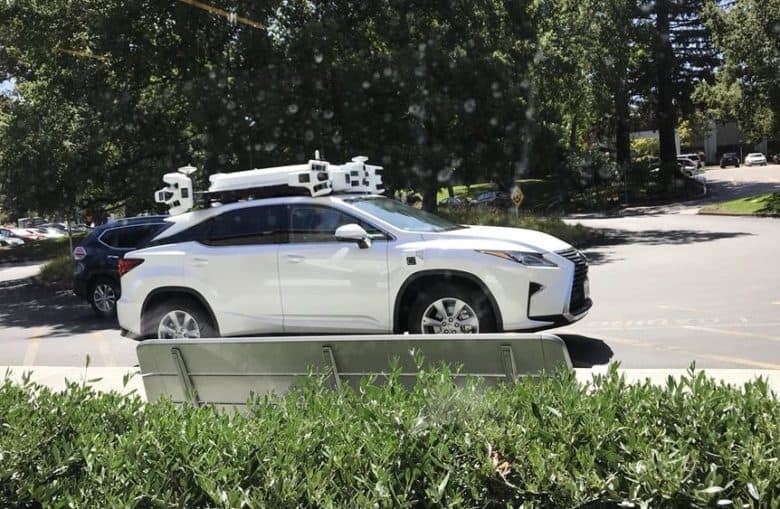 Project Titan is Apple’s program for developing self-driving vehicle systems, whether its an actual car or software and supporting components for other companies. The patent application, which appeared today on the United States Patent and Trademark Office website, does not mention Project Titan. The “System and method for vehicle authorization” would offer communication between the vehicle and device holder that allows the user to execute certain tasks, such unlocking the nearest door. The system would use biometric security to confirm the person’s identity and determine if the person is authorized to gain entry and operate the vehicle. The user could also authorize other people to have access to vehicle entry and controls. Apple could also gear the technology towards driverless ride-hailing services with authentication tied to a form of payment, such as Apple Pay, according to the application. The technology in patent filings often don’t make it into our gadgets but act as a kind dibs on ideas and applications. Apple last week filed a patent application for a smart seatbelt that would with either gesture or voice commands to operate certain features inside a car.